Hello! My name is Abby Thome, Cleveland born and raised, currently residing in Hudson. 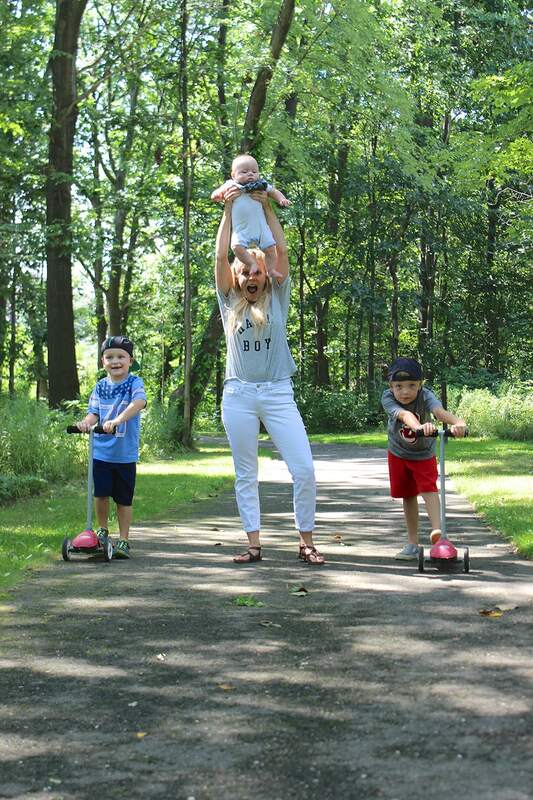 As a new addition to the Northeast Ohio Parent blogger page, I could not be more excited to introduce myself in this space. I am a full time lifestyle blogger for over five years. My blog, The Thome Home, has grown into an incredible space where I write about this crazy journey we call life. From our home renovations (currently living in our second fixer upper), family stories, home decor and delicious recipes. That is just a pinch of what I put into my blog. A wide array of topics, all of which I am extremely passionate about. I am a mother to three wild little boys, and a wife to my high school sweetheart, Dan. All of whom are my greatest inspiration to write. My husband and I are addicted to fixing up old houses, and we are currently living in our biggest project yet. Making a neglected house into a home and putting my heart into every project gives me such joy. At the end of the day, I want to be the best mother, wife, and friend I can be. I hope you will find my blog posts inspiring and relatable, and quickly you will learn that my sense of humor is a common thread to making this wild ride of parenting so much more enjoyable! Oh, and a glass of wine never hurts too!